As one of the leading storage companies in London, Nationwide Storage are affiliated with a number of local companies able to provide removal services to all across Acton, Park Royal, Wembley and throughout the capital. With over 25 years in the industry, we have built up fantastic links with a number of businesses, allowing us to supply removal transport for all those looking to take advantage of our high security storage facilities. 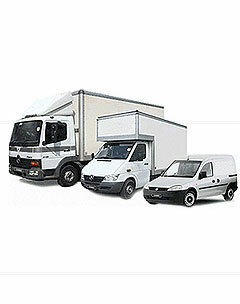 A range of removal vans are available, including small transits, Luton vans, 7 ½ tonne vans and 20ft container lorries, with the right vehicle for you dependent on the amount you wish to transport to storage. If you only require a single room or a couple of bits of furniture taking to storage, a simple transit will be sufficient (suitable for storage loads of 35 – 50 Sq. Ft), whereas a whole house or office move may necessitate a 7 ½ tonne van or 20ft container vehicle (loads of 100 – 200+ Sq. Ft). Get in touch today for advice about the removal van hire option most suited to your needs, or for more information about any of our services.